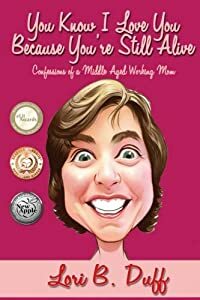 Nominated for INDIES Book of the Year in Humor from Foreword Reviews Winner, Writers Digest Self Published Awards - Honorable Mention for Life StoriesWinner Finalist for Humor, 2018 International Book AwardsWinner Finalist for Humor, 2018 Readers Favorite AwardsWinner Top Ten Indie Book of 2018, Amy's Bookshelf"Panicking never helps." Tuesday's breakfast was interrupted by a stroke, and the only available help is the author's second grader. Launched into a medical crisis, Kimberly Davis Basso (and her brain) respond with wit, wisdom, and wishful thinking. From surviving a stroke to surviving a zombie apocalypse, "I'm a Little Brain Dead" is alarmingly irreverent. No matter how critical or ridiculous the situation, Kimberly abides by their family rule "Panicking never helps." 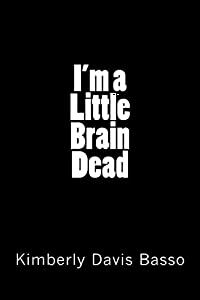 You'll get an inside look at being a middle aged stroke patient as she hosts a neurological event, juggles doctors, undergoes a heart procedure and asks the really big question - how tiny is tiny when it refers to dead tissue? What would you do? Are you prepared to have a medical crisis, unable to speak or walk? Would your kids know what to do? It's time to make an escape plan. 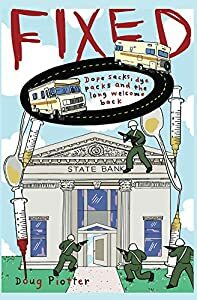 Kimberly will walk (or rather shuffle) readers through her experience in an honest, hilarious look at the site of the world's smallest zombie apocalypse - her brain. Are you curious as to what is going on with the legalization of marijuana across the nation? Don't miss your chance to learn from the first state to go live with recreational sales. 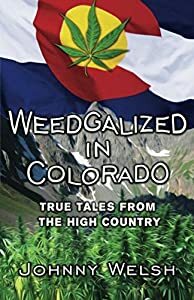 You'll learn the good, the bad, and the funny in Weedgalized in Colorado. Colorado's new cannabis culture is more colorful than you imagined! Pot became legal in Colorado on January 1, 2014, and everything changed. Culture transformed, entrepreneurs descended and people couldn't stop talking about it. Specifically, in the heart of Colorado ski country, everyone was talking to professional bartender and award winning author, Johnny Welsh. Meet the Sheriff and the Town Stoner,"Ganjapreneurs" and Girl ScoutsIt's about time someone told Colorado's story from a Colorado point of view! Here are the good-humored true tales of legalization, including outrageous characters, crazy products, inventive businesses, laid-back budtenders, out-of-work drug dealers, cannabis controversies, and tourism booms and busts. Discover:* The Dealers and the Players* Weedia in the Media* Weed vs. Alcohol* Ganjapreneurial Products and Services* Dispensary Guide: A Tour of Colorado's Pot Holes* Pot Stocks* Marijuana Strains* Jokes, anecdotes, interviews and more!Weedgalized in Colorado contains interviews with characters ranging from the "Town Stoner" to the county Sheriff, as well as dispensary owners, dealers, growers, tour guides, entrepreneurs and even movie producers looking for their next blockbuster. Five years after her move to Las Vegas, Terry develops an allergy to the intense heat. After she decides to leave the city every summer, she discovers the benefits of "The Affordable Travel Club" and European home exchanges. 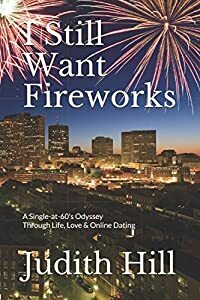 Terry winds her way primarily through Canada, the United States, and Europe, where there's a little Italian romance to boot. Highlights of her travels include month-long stays with people in France and Italy. As a motivational speaker, Terry is eager to become an integral part of their exciting lives. Ms. Woods’ humor weaves its way throughout the book, showing up in the most unlikely situations. 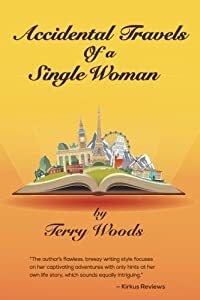 In Madrid, Terry wanders around aimlessly during the prince’s wedding procession until she's stopped by the police. Ultimately, her humor convinces them that, surely, she is not a terrorist bomber. During her travels through different countries, Terry shares thoughts and feelings of those people who impact her greatly. She also writes poignantly about what it means to be part of the world in today’s day and age. Join bestselling romantic comedy author, Whitney Dineen, as she discovers the three Es of parenting: • Exhilarating—when you first discover you’re pregnant. • Exhausting—when you realize you’ll most likely never sleep again--like EVER. • Explosive—OMG these kids spew from both ends! And that’s just the beginning. Whitney shares the ridiculous highs and excruciating lows of her catapult into motherhood. Enjoy the ride as this new mom vows to give up profanity while falling in love with… you guessed it, Costco. Be careful, because if you’re anything like Whitney, you may just pee a little. 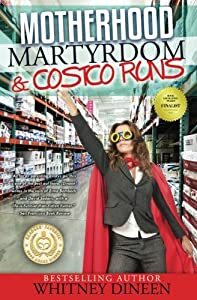 Motherhood Martyrdom & Costco Runs takes the reader on a roller coaster of emotions as Whitney plummets into postpartum depression, desperately tries to get her kids to stop yodeling in public restrooms, and comes to terms with the fact she’ll never quite be queen of her own kingdom. Get ready to laugh, cry, cheer, and pat yourself on the back for the sake of mommies everywhere. And while you’re at it, stop by Costco for a case of toilet paper and a very berry sundae. You won’t regret it! Meet My Famous Friends is a whimsical picture book that honors greatness and celebrates the imagination. You'll meet Vincent van Goat, Susan Bee Anthony, Albert Eine-Stein, Carrotvaggio and many others. 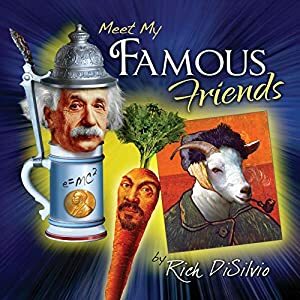 Author/Illustrator Rich DiSilvio has created a unique way of introducing young readers to famous people by creating humorous parodies on their names and appearances that will not be easily forgotten. If you've ever found yourself saying "stop licking the dog" or "no, you can't sample the dogfood at petco" or You can't take all your clothes off at a party" to your children, you'll roar with laughter at this book. 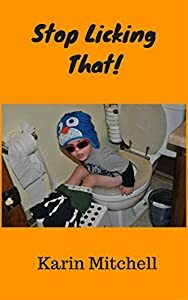 Similar to books like I Heart My Little A-Holes and I Just Want to Pee Alone, Stop Licking That takes on the reality of parenting with a honesty, humility, and some stealthy tips and tricks. Mitchell's years in education and child protection along with her irreverent humor helped her include an appendix of true, but sometimes strange Tips, Tricks, and Weird Facts. Read them to find out why it might be a good thing to teach your kids to blow snot rockets, and how duct tape can help save you money on toddler mittens. In 1830, an Italian pyrotechnician launched a sheep-bearing rocket 600 feet into the air. Russia’s Peter the Great instituted a tax on beards in 1698. And in 1901, an unfortunate cat became the first daredevil to successful conquer Niagara Falls in a barrel. Ridiculous tales like these dot our history like a bad case of the measles. 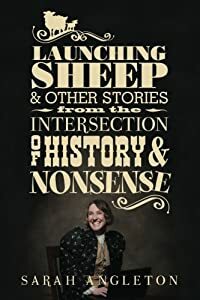 Humorist and historical fiction author Sarah Angleton jumps across centuries and cultures to highlight stories of some of history’s quirkiest characters and adventures that serve to shed light on her own experiences, like that time her eight-year-old son became obsessed with the bagpipes. Featuring posts from the first five years of the history/humor blog, The Practical Historian, the essays in this collection are part history, part memoir, and all nonsense.